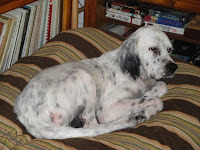 Jaime Davis-For Duckie, Fannie Mae & her pups, & all the other sweet souls IBR is helping. Identity Sign & Lighting, Inc.
Tom & Karen Scheidt-In memory of Claire and in thanks for Lynette. End of the Leash Pet Store in Mukwonago,WI has donated food for our rescues over the year and IBR would like to give a BIG ROO to them for their generosity. It truly is a blessing that many of our dogs benefit from.